Garcia Fabric Lounger Is Available In Both Lh & Rh Configurations. A Combination Of A 3-Seater Sofa And A Chaise, Garcia Lounger Is A Large Sized Product Suitable For Those Tricky Corners Of Your Living Room. 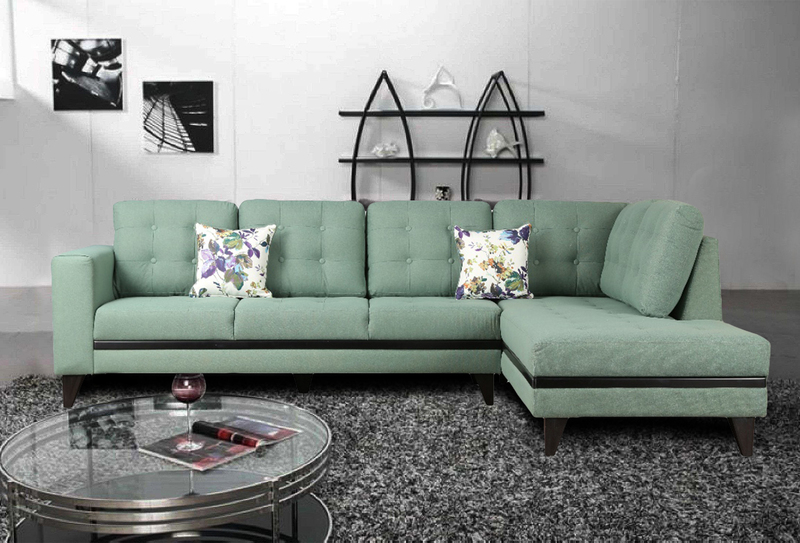 Added Tufting In A Contrast Colour Adds To The Product Definition.